Authorities said David Wright recruited for the Islamic State and plotted the death of blogger Pamela Geller, a controversial critic of Islam. An Everett man was sentenced Tuesday to 28 years in federal prison for plotting to kill Americans on behalf of the Islamic State, a punishment that spared him life in custody. David Daoud Wright, 28, will be in his early 50s by the time he is released from prison for plotting to behead an anti-Islam activist and urging his uncle to attack law enforcement officials in a Roslindale parking lot in 2015. His uncle, Usaamah Rahim, was fatally shot by authorities after he advanced on them with a machete. Just hours earlier, Wright had urged him to assault officers and pursue martyrdom. In Boston’s federal courthouse on Tuesday, Wright tearfully apologized to his family, police, and Pamela Geller, the activist he, his uncle, and another man had plotted to kill in the name of ISIS. 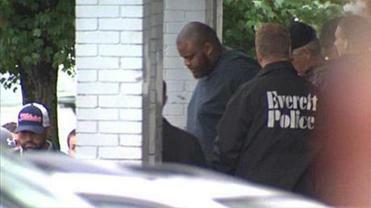 US District Court Judge William G. Young told Wright he knowingly chose to take up the cause of terrorists. During the four-week trial in October, Hedges argued that the 6-foot-7-inch Wright weighed more than 500 pounds in 2015, an unhappy man with no job prospects who deluded himself into thinking he was an ISIS combatant. Wright testified that he never took his uncle seriously and was only role-playing as an escape from his bleak life. On Tuesday, Young flatly rejected that claim. Wright was convicted of conspiring to support a terrorist organization; conspiring to commit acts of terrorism beyond national boundaries; conspiracy to commit obstruction of justice; and two counts of obstruction of justice. At trial, prosecutors said Wright knew his uncle was communicating with Junaid Hussain, a member of ISIS in Syria who provided Rahim information about Geller. Hussain was killed in August 2015 in an airstrike in Raqqah, Syria. “He was committed to waging war against the United States,” she said. Young said that while Wright’s actions merited a life sentence, he needed to consider sentences in other terrorist cases where the defendant had not directly committed a deadly act. Young said he asked the jurors after delivering their verdict what they believed Wright should receive as a sentence. Their answers averaged out to 23 years. “I’m having trouble with a life sentence for this,” Young said. “If I look at the sentences of others . . . I see significant differences.” In 2012, Tarek Mehanna, a 29-year-old Sudbury man, was sentenced to 17½ years for conspiring with Al Qaeda to commit murder. That same year, 27-year-old Rezwan Ferdaus was sentenced to 17 years in Boston federal court for plotting an attack on the Pentagon. Attorneys Michael Tumposky (left) and Jessica Hedges (center) left the Moakley Courthouse after David Wright’s sentencing. Hedges pointed out that officers at the Plymouth County House of Correction, where Wright has been held in isolation since his 2015 arrest, had been impressed by his respectful, quiet behavior. In a lengthy letter to Young, Wright’s mother described her son as an insecure man who was self-conscious about his enormous stature and never had a consistent father figure. The family fled Wright’s father, who was abusive, when Wright was 2 years old, she wrote. But Young said he was sentencing Wright based on his actions in 2015. 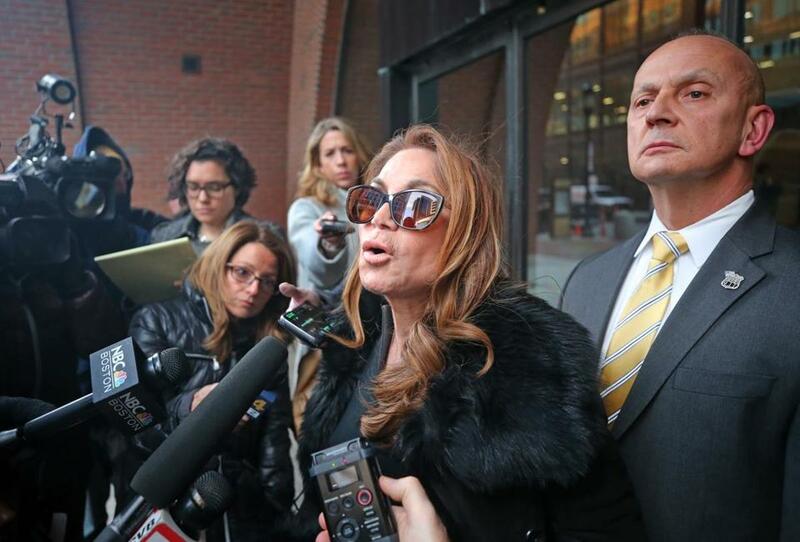 Pam Geller spoke outside the Moakley Courthouse after David Wright was sentenced. Geller attended the hearing and read a statement urging a life sentence. She said her family has been traumatized by the threats against her life and that she has spent tens of thousands of dollars on security.